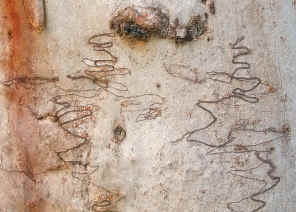 This page contains pictures and information about Scribbly Gum Moths in family Bucculatricidae that we found in the Brisbane area, Queensland, Australia. The larvae in this family are very small and we may not want to call them caterpillars. They are usually leaf miners although the famous one in this family is the under bark miner. Moths in this family are tiny in size. Ogmograptis scribula, larvae grow up to 2mm, moths are about wingspan 3mm. 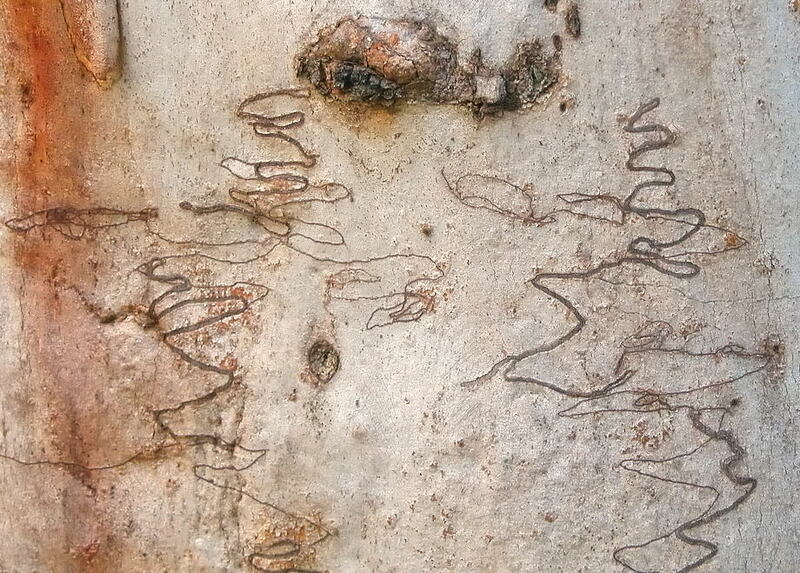 The Scribbly Gum Moth larvae mine under the gum tree bark and making those scribbly marks. The gum trees drop off its bark every years, the old scribbles gone and the new scribbles appear. For those scribbles, there are the thin lines and the thick lines. The larvae mine and zigzag their way up the tree trunk, this makes the thin lines. Some larvae return during half way, follow exactly the same path, which double the width of the lines. When fully grown, the larvae pupate in the cocoon near the base of the tree trunk, under bark or within plant materials. 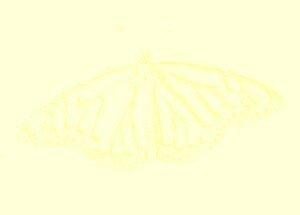 The adult moths appear to fly for a very short of time and this moth does not come to light at night. Although the scribbles on gum tree trunk are common, the moths are relatively rare to be seen. 1. Moths of Australia - I. F. B. Common, Melbourne University Press, 1990, p190. 2. Scribbly Gum Moth - Australian National Botanic Gardens, 2007. 3. A Guide to Australian Moths - by Paul Zborowski and Ted Edwards, Published by. CSIRO PUBLISHING, 2007, p57. Last updated: May 04, 2009.